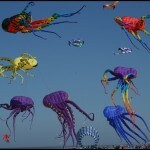 When you attend as many kite fests as we do, it’s easy to get a bit “jaded.” Easy to think – “Oh, this is just another kite festival.” But the better, more “favorite,” fests we attend each year have something special going for them. And at Lincoln City, it’s all about (a.) 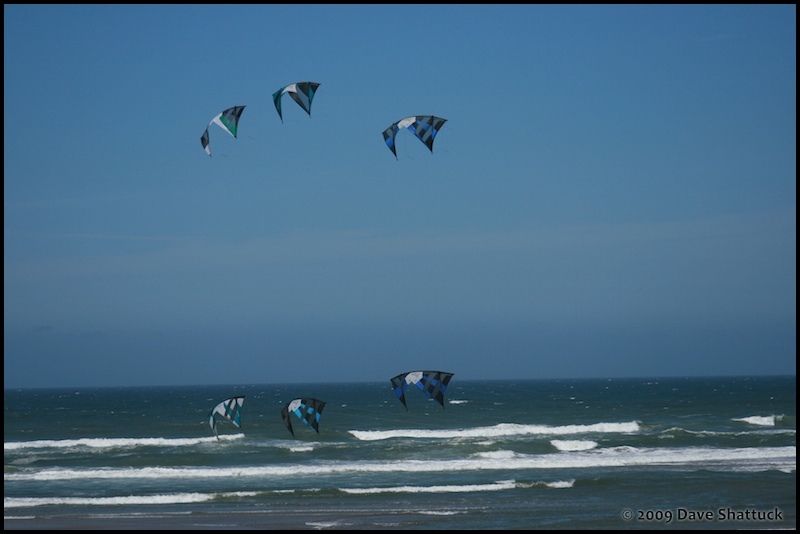 the treatment we kiters get from the city, and (b.) 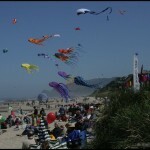 putting on a “successful” kite festival from the viewpoint of both the kite-flying participants and the spectators. 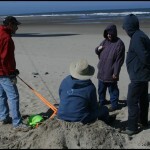 And the wonderful folks in Lincoln City do just a “superb” job on the entire package. There’s help with travel and lodging, sponsored coupons good for meals, a “welcome” gathering as you roll into town Friday night, and they take care of flying-field setup and a good sound system, and hand-in-hand coordination of nearly everything else pertaining to the festival. Which means spectators will see and participate in a well organized event, and fliers can come and expect the details to be just “handled” by the LCVCB and all they have to do is be ready to FLY! And when it’s over, the one coupon you still have entitles you to a paid-for smorgasbord style dinner at the Chinook Winds Casino on the north edge of town. 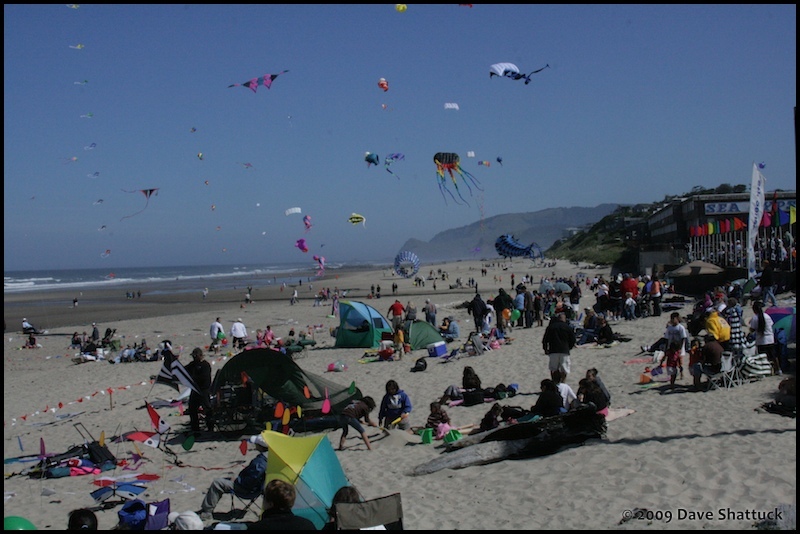 And when you are invited to attend one of Lincoln City’s kite festivals, you quickly become aware of – and most appreciative for – a sort of “Patron Saint” for kite fliers in Lincoln City, in the name of Mrs. Maggie Conrad of the LCVCB. 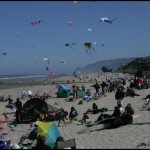 By direction from Sandy Pfaff, the LCVCB’s Executive Director, Maggie has become the Kite Festival “Organizer” for Lincoln City, though perhaps “Festival Wrangler” would be a better term… If all good things come to kite festival participants in Lincoln City – Maggie obtains, organizes, manages, and distributes all of the various components of that “goodness.” Not only that, she does it with an infectious smile and a twinkle in her eye. For instance, it was my particular delight to be able to pick my lodgings this year from among the different hotels and motels that contributed rooms. I’d found “The Bel-Aire Inn” on a previous trip to Lincoln City, which is a medium cost place, but superbly managed and very well appointed, and clean and quiet motel right on US-101. Bless you Maggie! I’ve stayed at other places in town that cost a whole lot more – that I like a whole lot less. So I appreciate staying at the “Bel-Aire Inn” as one of the real “perks” in my coming to Lincoln City for this festival. 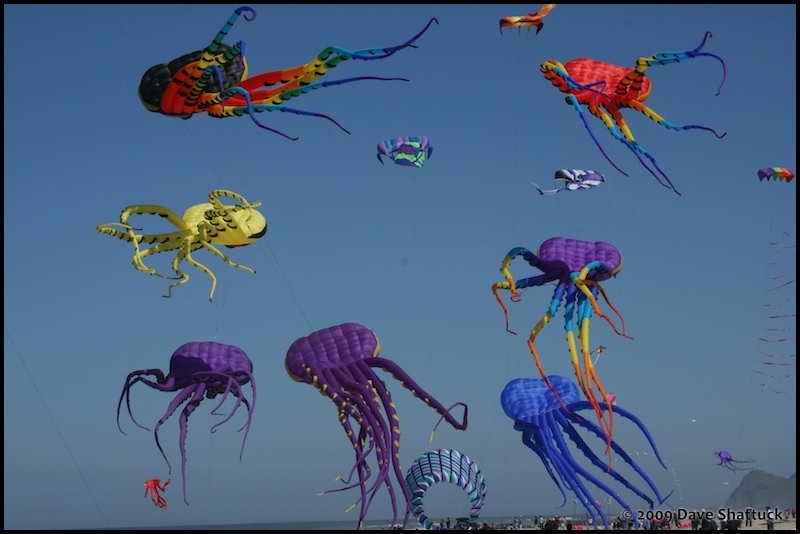 Well, there are several semi-requirements when it comes to putting on Kite Festivals… and the LCVCB only has a certain amount of “pull” with the gods of the Universe. 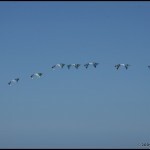 We need an adequate place to fly – which we have. We’d like a clear day – and the weather mavens are forecasting “Clear and Sunny.” And we’d really like some wind – and there’s the rub… Oh, we have wind all right. Indeed, we have a gross sufficiency of the stuff as we all survey the field from the reception windows. 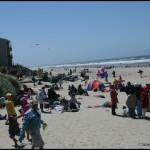 People are coming in who’ve flown on the beach this afternoon and they’re reporting things like “blowing at 28 mph,” and some are muttering “gusting above 35,” and a few optimists say “maybe we’ll get lucky, and only have to deal with the high teens.” So those who’ve come to fly the big Peter Lynn inflatables, and the luckless sport kiters who live – and die – on kites that just fit a specific wind range are a bit “guarded” with their subdued enthusiasm. Me? 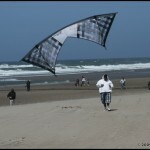 I only brought that “light wind” stuff that flies in 8 mph or less… Just forget about me altogether! Well, nothing for it but to fly anyway. So we’ll “make do” as we always have anyway. We’ve always been “up for it,” but first we have to get some sleep. So Theresa and I finally leave the reception and head to The Bel-Aire Inn – which we found out is renaming itself to “The Farmer’s Daughter” instead. How’d we find out about it? Well – Maggie, the desk clerk told us so when we checked in. 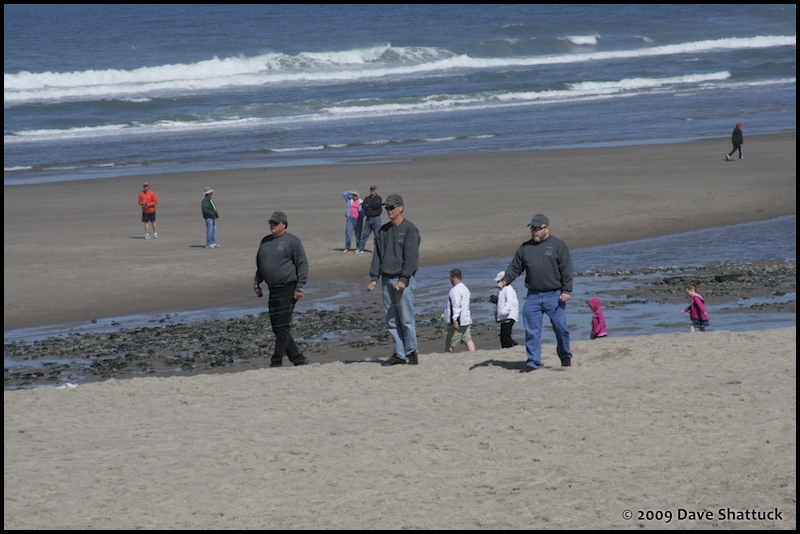 Apparently, Lincoln City is just crammed with “Maggies” who go out of their way to help travelers – which is just fine with me. 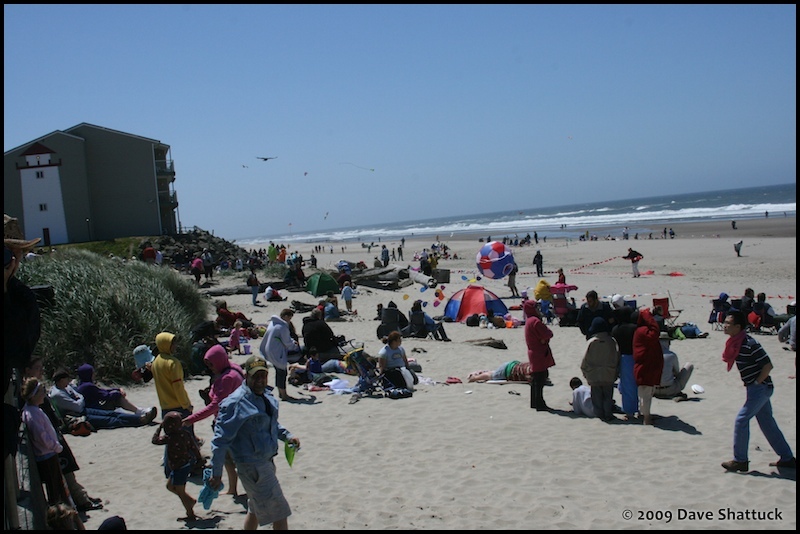 Anyway, if you ever need a nice place to stay for reasonable rates in Lincoln City, Oregon – choose between the Bel-Aire Inn and The Farmer’s Daughter – and you cannot go wrong! And – as a double-check on that, Theresa – my house-mate and this event’s “lodgings critic” – acclaimed to all and sundry: “This one will do just fine!” She’s most particular about her own lodging arrangements, so I rest my case based on her say-so! Nice decor, comfy beds, easy access, all fixtures work, and a decent continental breakfast. And rest well we did, and eat breakfast too. And Saturday broke bright and clear, and we were clear of the Bel-Aire Inn / Farmer’s Daughter by 8:10 to get coffee from Starbuck’s across the way, and then it was off to the field at the “D” River Wayside, to arrive before 8:30 in order to get a decent parking spot. 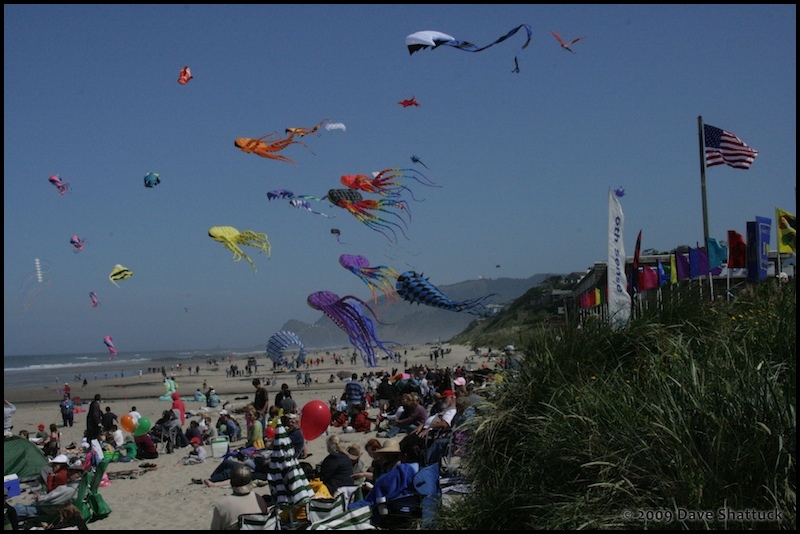 Let’s just say that parking is more than adequate under most circumstances, but any full-blown Kite Festival at ”D” River pushes the number of available parking slots over into the “challenged” range. Well, we had a decent, flyable beach. And, we had sun. But our wind-goddess “Maria” was up to her old tricks again. Winds were light to moderate now, but the breezes were wandering through various compass points from due west to due north on about a 10-15 minute “shift” schedule – and increasing a couple miles per hour with every change. Still, the boys from iQuad were down at the water’s edge, getting a few practice licks in before demo time rolled around at 10:00 AM – our official Festival start time. Jeremy Colbert, our festival “Field Director,” was out overseeing the lining of the demo field. 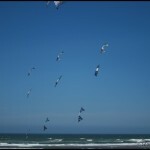 The herd of “Big Kite” pilots was across the “D” River (which was actually “wade-able” this year). 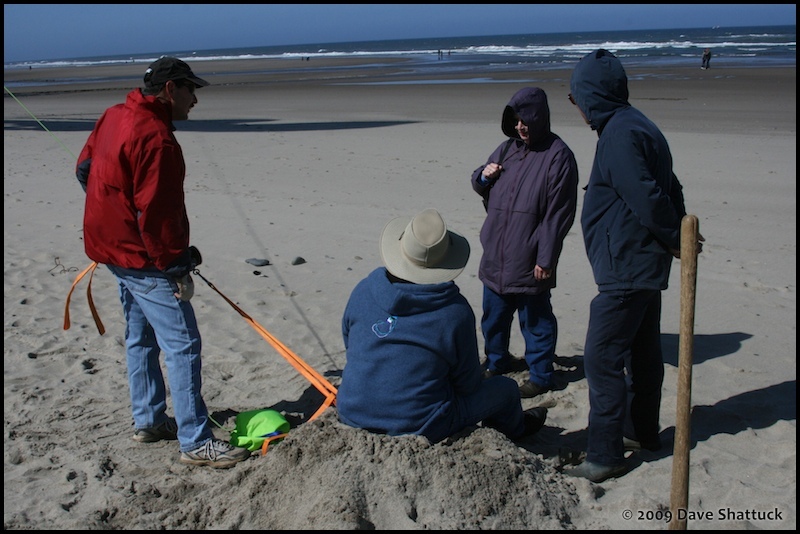 There were Al Sparling, and Susan Gomberg, and Phil and Barb Burks, and Doug and Linda La Rock, and various others were out digging in anchor points and preparing to launch some “biggies” anyway… Rod and Cindy Thrall were putting up banners and various kites, Amy and Connor Doran were putting their routines and costumes together, Al and Aaron Washington were setting up and wringing out their sport-kites, Ronda Brewer and Lindsey Johnson were helping folks nearly everywhere. 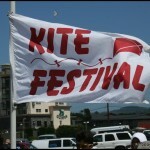 OK – Looks like we’re going to have an Honest-to-God Kite Festival here after all. Do I grab a camera and start shooting – or down the dregs of the Starbuck’s and head up to the coffee house to refill my old stainless steel “road mug?” So I grabbed the camera and started shooting – and this time I even remembered to get a few shots of the environs of the park – our “home” for the next couple of days. The winds would eventually “steady” into close to dead-on North winds, and also continue to “freshen” throughout the day to the point where someone said they peaked in the afternoon at either 28 or 30 mph (depending on your windmeter?) and gusting to 35 mph again… The Festival got underway at roughly 10:00 give-or-take (within the constraints of “kite time”, anyway), and Mr. Gomberg and Jeremy Colbert and others managed to keep the Demo field filled and interesting throughout the day – though not without the usual hitches and starts, as always… I’ll not go into much more details than that. Suffice it to say that everyone flew, nobody got badly hurt or maimed, and the crowd was present, active, appreciative, and not the least bit unruly. A good time was had by “most” – which makes allowances for someone NOT having a good time, though I certainly didn’t observe it happening. 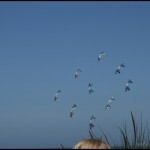 Yes, everybody mentioned above flew for the crowd – a time or two at least. 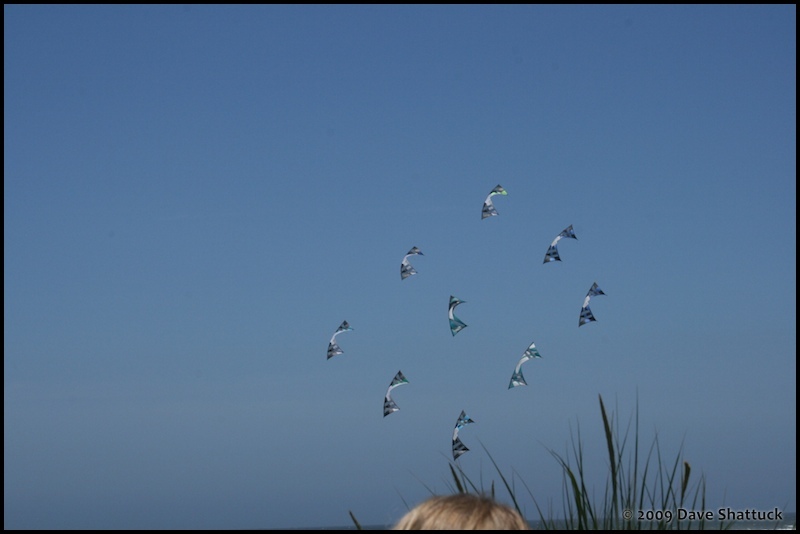 Some – like iQuad – flew several demos on Saturday. I think I saw Amy flying as Charlie Chaplin, but also just as Amy Doran more often. 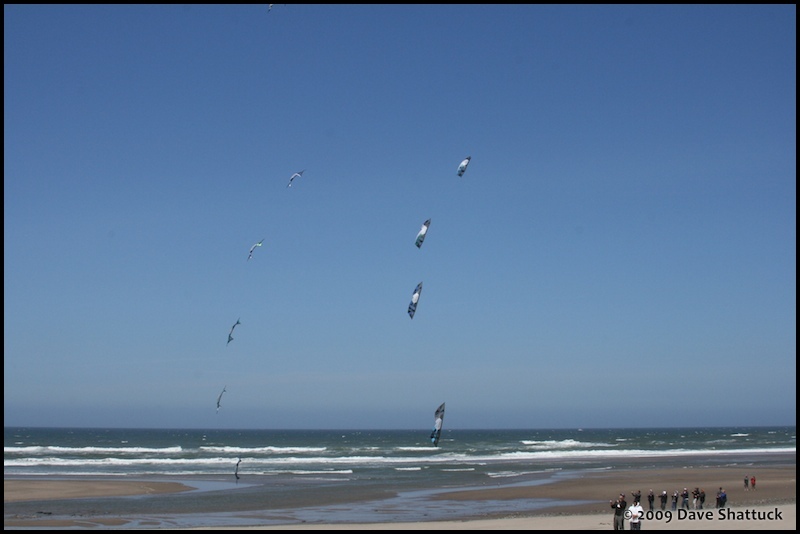 Team Sixth Sense put their kites in the air and “Wowed” the crowd under VERY difficult conditions – flying vented Nirvanas, with extra “Nappies” hanging between the lines, and using 300# line… literally “anything” to slow the kite down a bit. 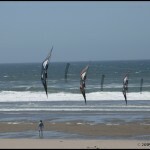 Given the high wind-speeds they did an AMAZING job. 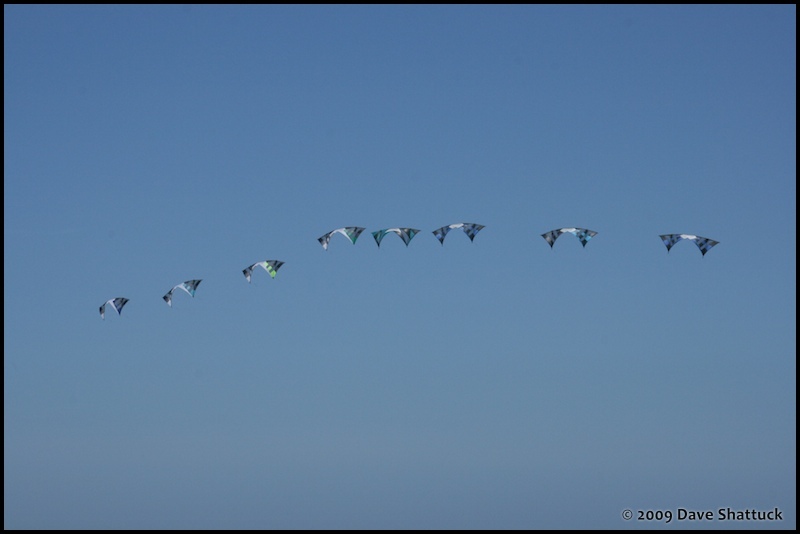 Due to the flight abilities of Revolution kites to adjust to high winds, anyone who flew Revs faired quite a bit better, including Amy and Connor Doran, Penny Lingenfelter, and Ben D’Antonio – and of course, iQuad! Still, even the quad-line fliers looked for ways to slow kites down since the wind must have felt like a Typhoon pulling against some of these kites. 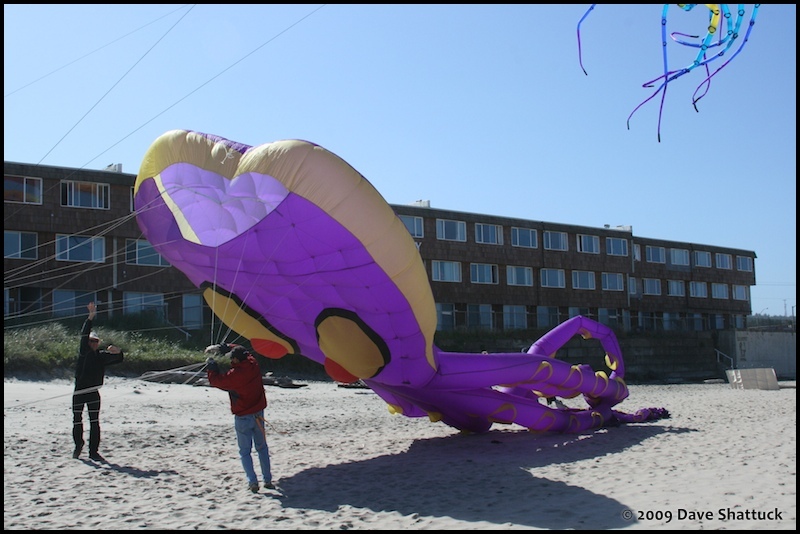 Yet – over on the other side of “D” River, the guys putting the big inflatables in the air dug in deep, double-guyed their kites (flying on two lines instead of one), and put up at least four of the 90’ Octopi, plus a host of other, smaller kites and line paraphernalia. 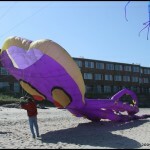 Also airborne were several flowforms plus at least one large delta, along with a new “Barrel” shaped wind-sock from Doug LaRock that is large enough to park your car inside when it’s inflated – and is absolutely lovely! 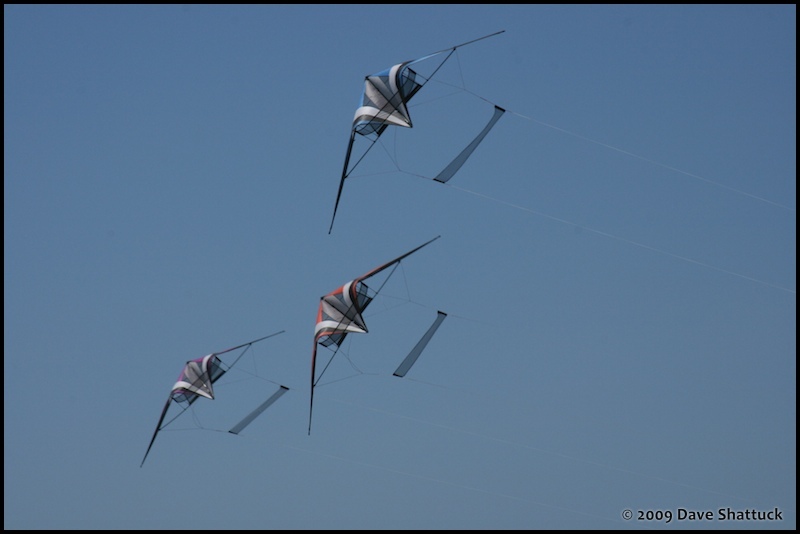 And on the “spectator” side of “D” River, Rod and Cindy Thrall had a medium-large parafoil flying, towing a traditional shaped blue-and-black windsock of at least 25-30 feet in length, and very pretty it was too! 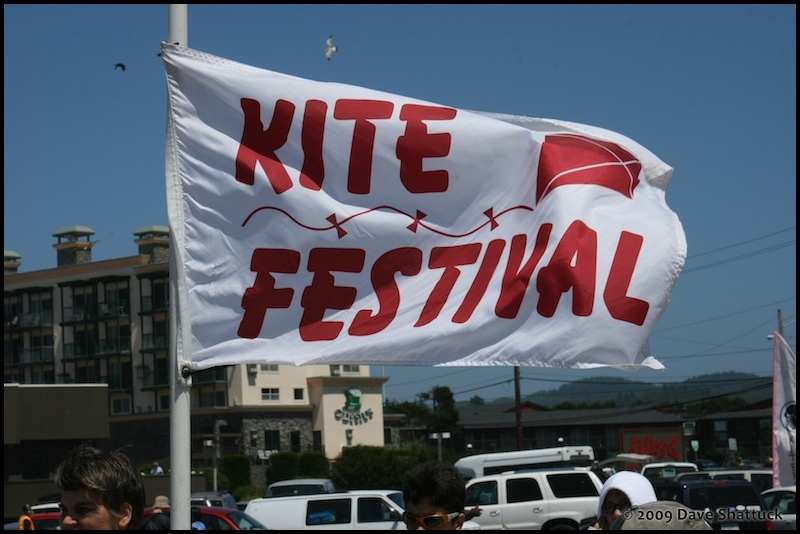 Oh yeah – there certainly were enough big hunks of Ripstop Nylon in the air so that everyone would know there was a Kite Festival underway. 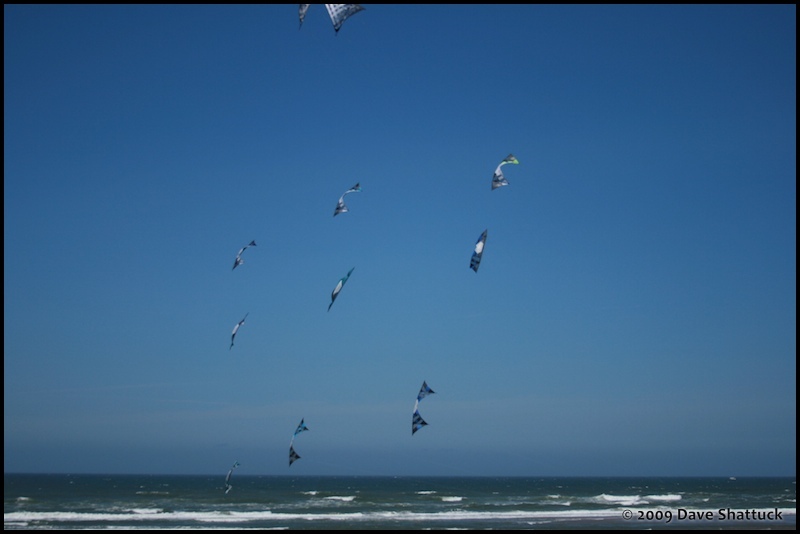 Not content to let things be, the irrepressible Team iQuad had taken some time out to visit Gomberg’s new kite store, Northwest Winds – and came back with a full set of 48’ Transition Tails that they attached to the center-point of their Revolutions. 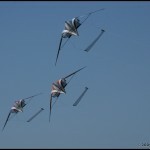 If there was a standout “hit” anywhere in the day, it was the boys from iQuad flying Revolutions with long multi-colored tails. The visual impression was so strong that the only thing you really noticed was the tails. 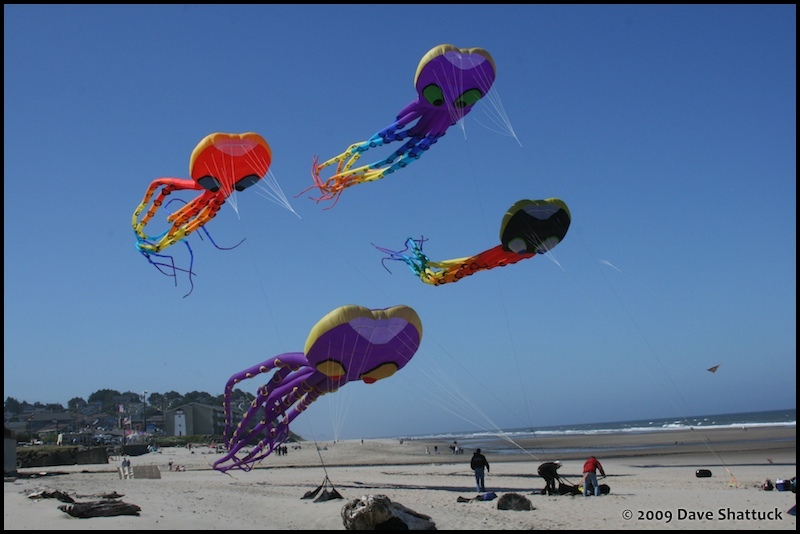 The kites and lines were “lost” due to the phenomenal impact of half a dozen of those tails revolving around each other in the breeze… Yep – Awesome – is the word, for sure! Still, the “official program” said the Festival ended at 4:00 PM, and it may have overrun the actual time a tad, but not by very much. All of the pilots were pretty darned tired of fighting all that “excessive” wind, so it wasn’t much of an effort to talk them into bringing down, and packing up, and putting away. Tomorrow was another day, and besides – we’re all tired and sweaty and a bit hungry too, come to think of it. So the crew broke things down and left the flying field to the spectators, and went in search of a shower and a change of clothes and something to take to the night’s potluck dinner. So after our own pack-up, and a jaunt back to The Bel-Aire Inn / Farmer’s Daughter for a shower and change of clothes, Theresa and I managed to scrounge up a decent store-bought Lemon Meringue pie and a tub of potato salad. 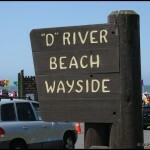 Then it was off to the Potluck 5-6 miles down US 101. 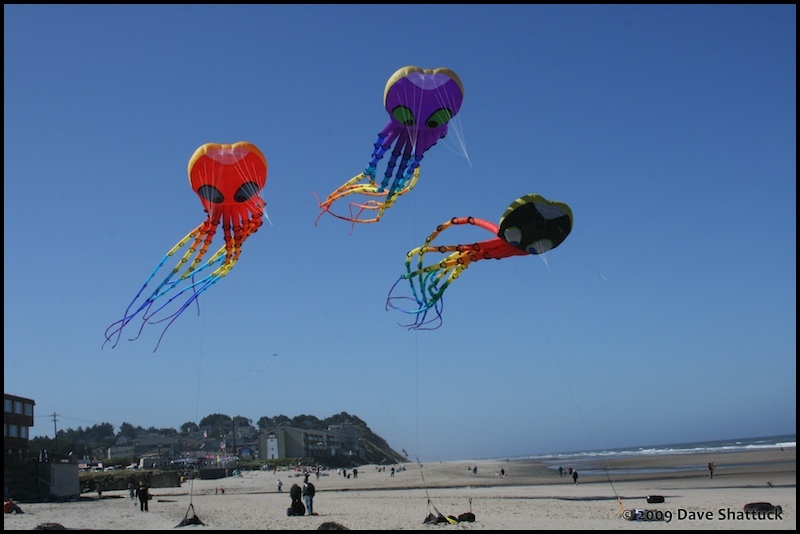 Our friend Phil Burks, one of the “large inflatables” fliers, had tried to hold a potluck during the Lincoln City Indoor Kite Festival back in February – with only limited success. Phil had the “clubhouse” reserved for his use at the WorldMark Resort (a series of condos he, and we, belong to) about 5 miles south of town. But, while the clubhouse was fine in February – the outdoor barbeque had a minor problem. It was completely out of propane to cook with. So this time, Phil made certain all was in readiness – including propane. And someone (perhaps Maggie Conrad again?) came up with a bunch of frozen burger patties and some buns. And the attendees who were coming brought everything else… And while it was only “semi” organized, it all came off very well. 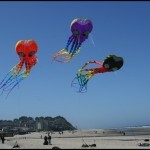 Think of maybe 40-50 kite fliers and family and friends each bringing MORE than they could eat to a potluck. Kick back and enjoy the communal hot tub. Use the pool table and ping-pong table. Watch the big-screen TV. Cook and eat burgers and hotdogs, and chow down on whatever everyone brought. 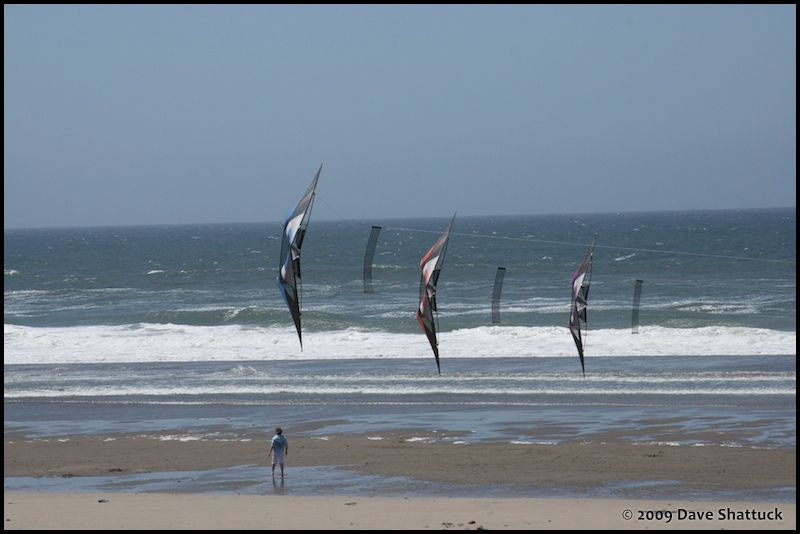 And most of all – hang out with fellow kiters! Well, it worked out very well, and I’ve no doubt that it’ll become a standard part of the Lincoln City Summer Festival – or any Lincoln City event festival for that matter – as long as Phil Burks is involved. It’s a great concept, expertly (though loosely) organized, and extremely well attended. Great camaraderie. Marvelous Show, Phil… Bravo! 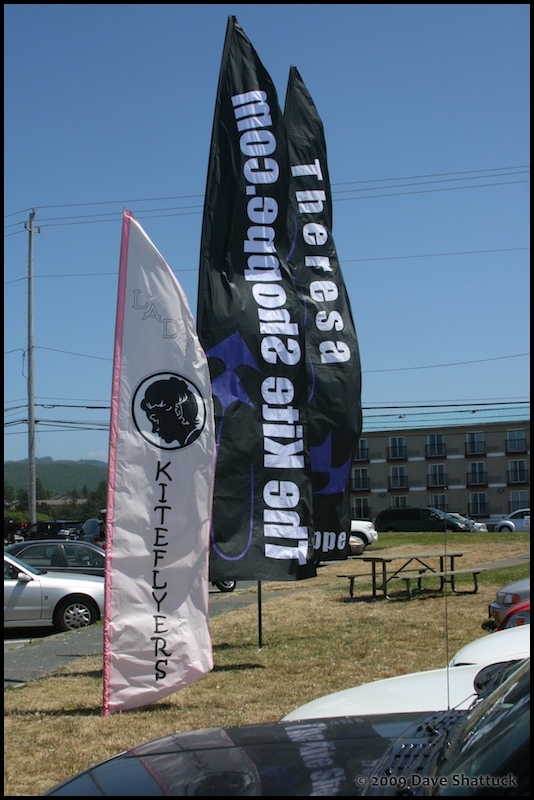 If you ever get a chance to attend a kiter’s potluck, you’re in for a treat. 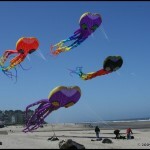 First off, festival kite flyers see each other as “family,” so they bring family faire to the table – LOTS of it. Next, they treat you as family too – not as invited friends, just as other family members. They expect you to pay your own way, help them out, and contribute to the group effort – meaning eat all you want, but buss your own table, too. If you want coffee (as an example) – make a whole pot and share it around, but take out the grounds and wash the pot when you’re done. Oh – and you’re expected to carry off the leftovers too, because they ALL bring MORE than they can possibly eat! So have at it, kids! And it was at the potluck that I ran into Rick Brown, whom I’d not seen on the beach at the festival. Rick makes probably the finest Cody reproductions made today, though he will tell you he’s merely “small potatoes” and there’s this guy in England who has all the plans and Cody’s complete archives, and about half of Cody’s original prototypes and… Well, who cares, really? Rick makes darned good Codys. They assemble easily. They’re over-built, though that’s probably a throwback to Cody himself. 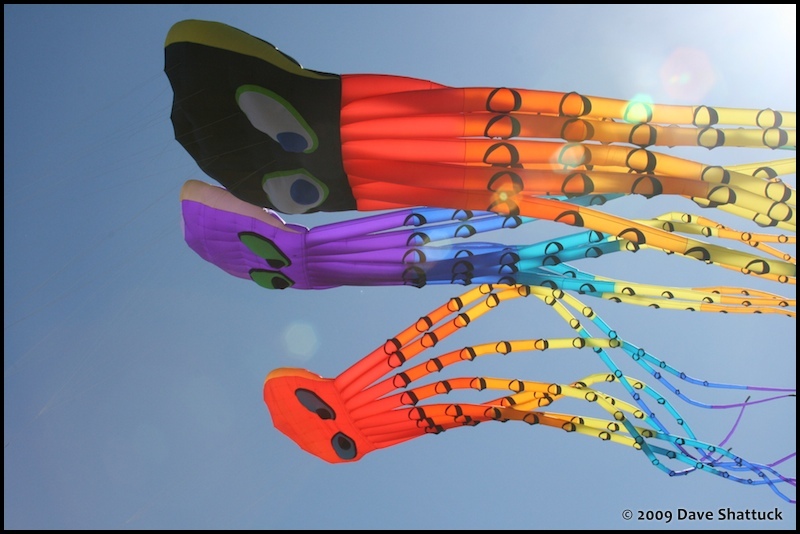 They fly like a dream, and look very pretty in the air. And – yeah – they cost an arm and a leg, if you can even find one. Anyway, Rick is a bit of a character – but I’ve been called that myself too, so we get along well. And, it was very nice to run into Rick again at the Potluck, and we shared a few “Cody” stories too, on into the evening a bit. Then it was an easy drive back to the lodgings again and a quiet night and gentle, relaxing sleep for a couple of wind-weary beach-rats – those being Theresa and I, of course. 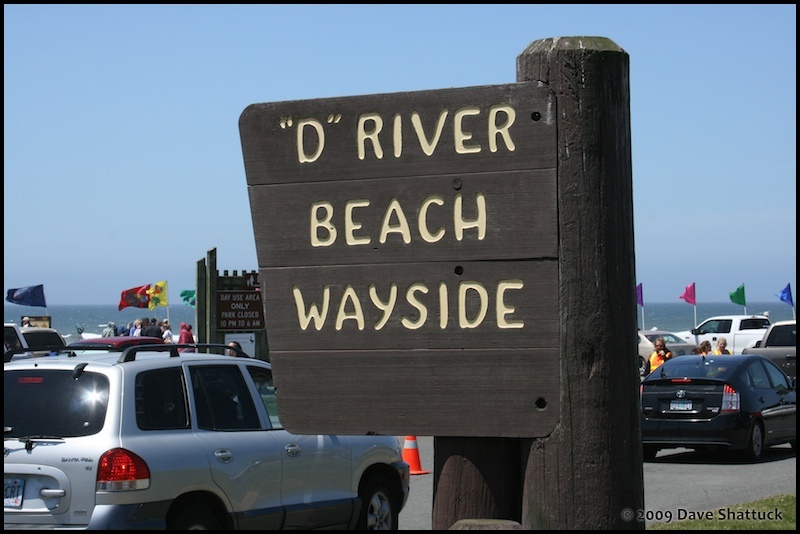 And for some reason, I overslept on Sunday morning – meaning that I needed to skip breakfast at the Bel-Aire Inn / Farmer’s Daughter if I wanted a parking place at the “D” River Wayside again – which I most assuredly did! So I beat feet to the flying ground, parked the rig, and walked up the hill a bit to a little Mom and Pop restaurant for eggs and hashed-browns, with coffee and a BIG Tomato Juice on the side. It was a good choice too, and it really hit the spot. And I grabbed a “go” coffee on the way back down the hill again, stopping in at the Tsunami coffee shop. After all, I gotta keep my caffeine levels up! 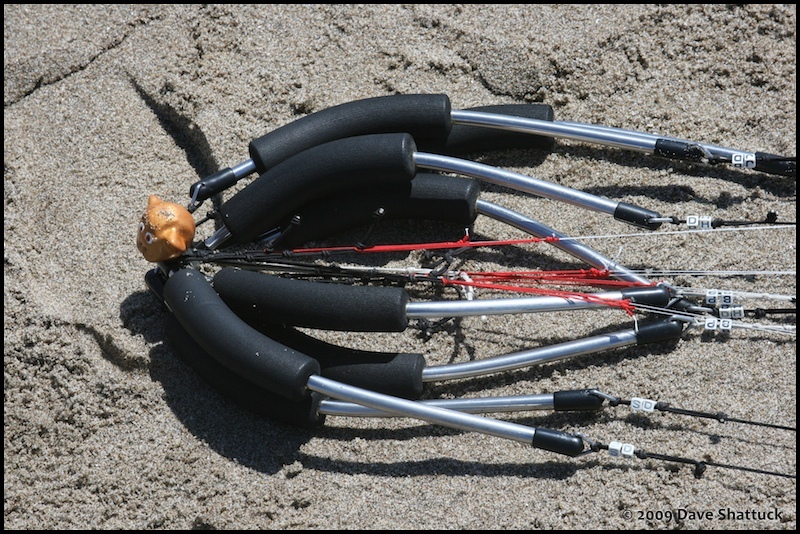 Back on the beach again, it was just like yesterday all over again – except that those honkin’ winds we had yesterday had moderated a fair amount – and gosh, were we ever grateful about that! The highest we’d see on that Sunday were in the high teens to low twenties, which was at least 10 mph less than we’d dealt with the prior day. Hooray!!! 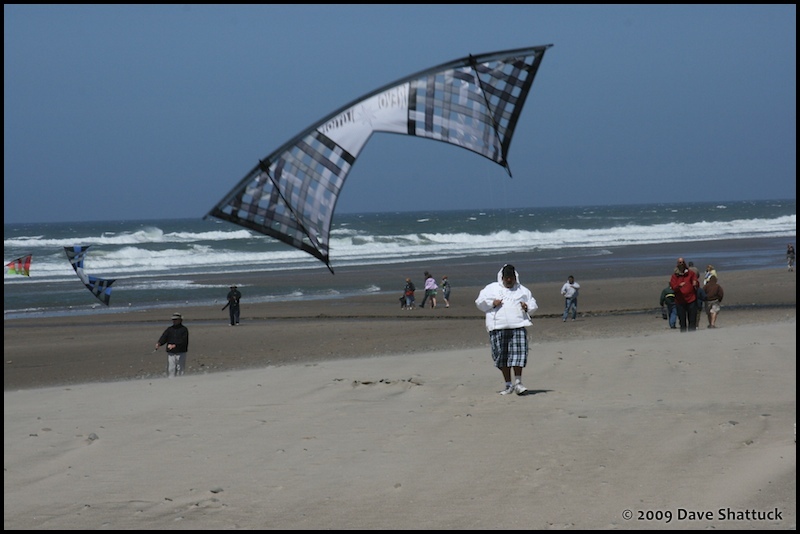 It meant that folks like Al and Aaron Washington could really FLY, rather than just throw a vented kite in the air, just hoping that it hung together long enough to get through one piece of music. Unfortunately, we’d miss seeing Team Sixth Sense that Sunday, because one of their members had to be at work on Monday and the trip home was too long to drive it in just a few hours. 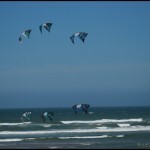 Sorry guys – we’d have loved to see you fly your routines again in air much better suited to your flying style. 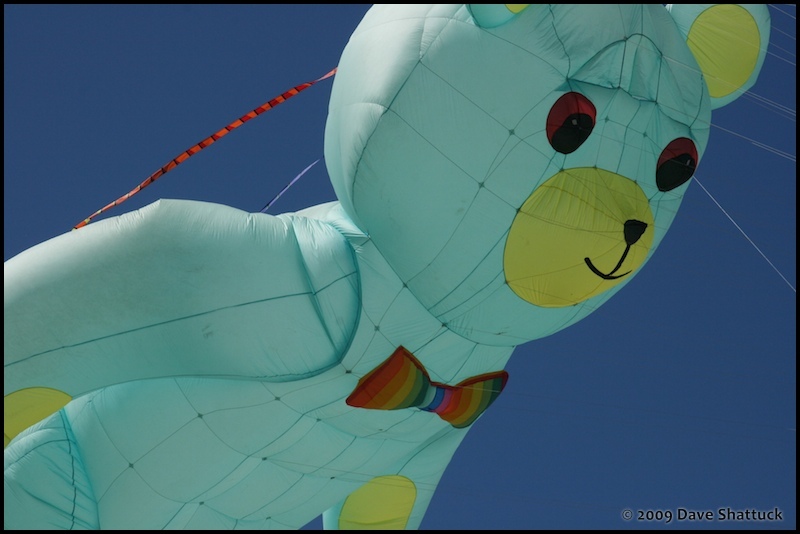 In early afternoon, Theresa and I put our heads together and decided we’d watch the parking lot, and when things freed up a bit, we’d take a run up the hill to Northwest Winds, Dave and Susie Gomberg’s new brick-and-mortar kite shop. So we saw an opening about 3:00 PM, and just grabbed it. Northwest Winds is up in the Tanger Outlet Mall at the top of the hill, and there was no problem spotting the place. 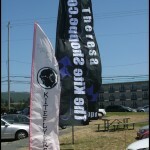 Theresa – being a kite-seller herself – spotted it right off due to the kite banners parked outside the shop. Nice place – though it’s awfully large. 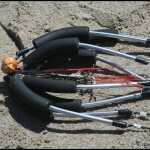 And, as you might expect, it’s filled with Gomberg Kite Productions International products. 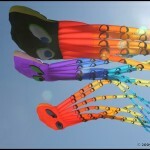 It’s a well-done kite shop and worth your time if you’re in the area, and we wish them very well with it. 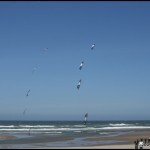 Indeed – every new kite shop that opens anywhere just enriches us all, and makes the sport of kiting that much stronger! Good Show, folks! And when Theresa and I returned from our short jaunt to the “D” River Wayside, nearly everyone was in “clean up / pack up” mode. 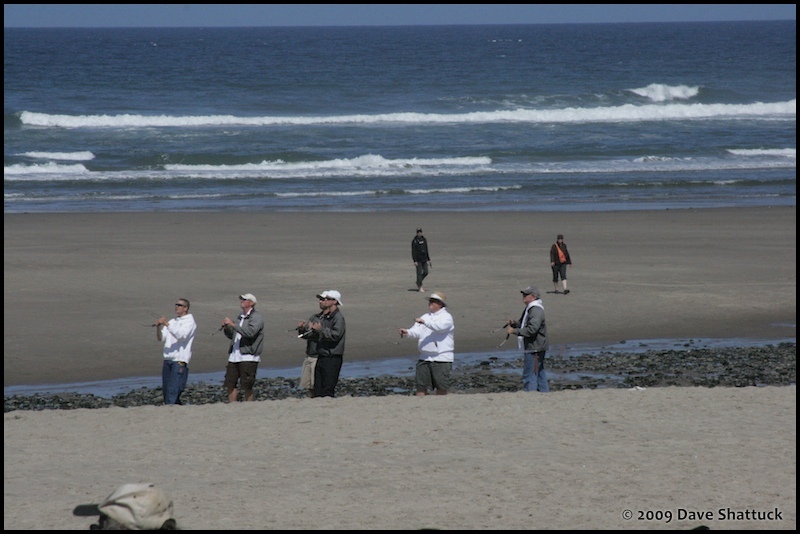 The festival was essentially over, and it was time for a quick shower if you needed one, and a trip north a couple of miles to the Chinook Winds Casino, where we’d all meet for our “get-away” dinner together – buffet style. The invited fliers always get coupons for the Chinook Winds dining room, and everyone can eat their fill and swap kiting lies and war stories before they head out on the highways for the long trek home. So – traditionally – we end up stacking the tables together and taking over about a third of the place and eating and drinking and yakking until we’ve all had “enough”… Nobody drinks too much or gets rowdy, but it’s more a time to be friends and let off a little steam and share the fun and the victories (and defeats, if any). 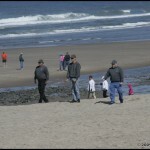 Then everybody can head for home feeling good, relaxed, and well fed – thinking what a “fine time” they’d had in Lincoln City again this year. And so it was in 2009 too. 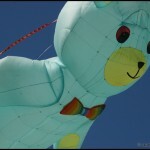 Good Fest, good flying, good people, and lots of fun. And now that it’s over – even the winds were bearable. See ya next year, right? Okay, then… Safe Trip home! 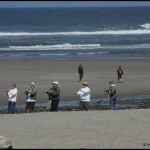 But since we were hanging overnight in Lincoln City, we hung late at the Casino – yakkin’ with the last fliers. Then it was back to The Bel-Aire Inn / Farmer’s Daughter for a relaxing evening of a little TV and then into bed. And morning found us all relaxed and ready to head home – yep, the trip was all over and done with before noon on Monday. This one’s a good one, folks. Good festival for spectators. A GREAT festival for the fliers. So we’ll expect to see YOU there next year, right? This entry was posted in 2009, Issue 67 (Jul/Aug), KL Archive and tagged festival, iquad, lincoln city.